Same old way! Orzo♥Coffee can be brewed in the same way as ground coffee, using a cafetière, percolator, filter or espresso machine..
Cafetière or filter coffee machines: allow 1 tablespoon of Orzo♥Coffee per mug and brew for 3 to 5 minutes. Traditional Italian coffee maker (percolator): loosely fill only two thirds of the filter basket with Orzo♥Coffee. Once your Orzo♥Coffee has brewed, you can enjoy it black or add milk or sugar to taste. Try also Orzo♥Coffee Latte or Orzo♥Coffee Cappuccino or explore other ideas with our recipes. Reseal this packet or use an air-tight container to keep your Orzo♥Coffee fresh. Keep in a cool and dry place. 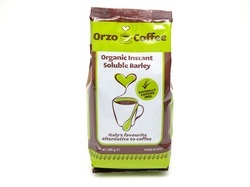 Orzo♥Coffee Pronto, organic instant soluble barley, is easy to prepare. Easy peasy! Put 2 or 3 teaspoons of Orzo♥Coffee Pronto in a mug. Add a little hot water and stir until Orzo♥Coffee Pronto has dissolved. Add milk or sugar to taste and your Orzo♥Coffee Pronto is now ready to enjoy! For a creamier flavour Orzo♥Coffee Pronto can be prepared with warm milk instead of water. 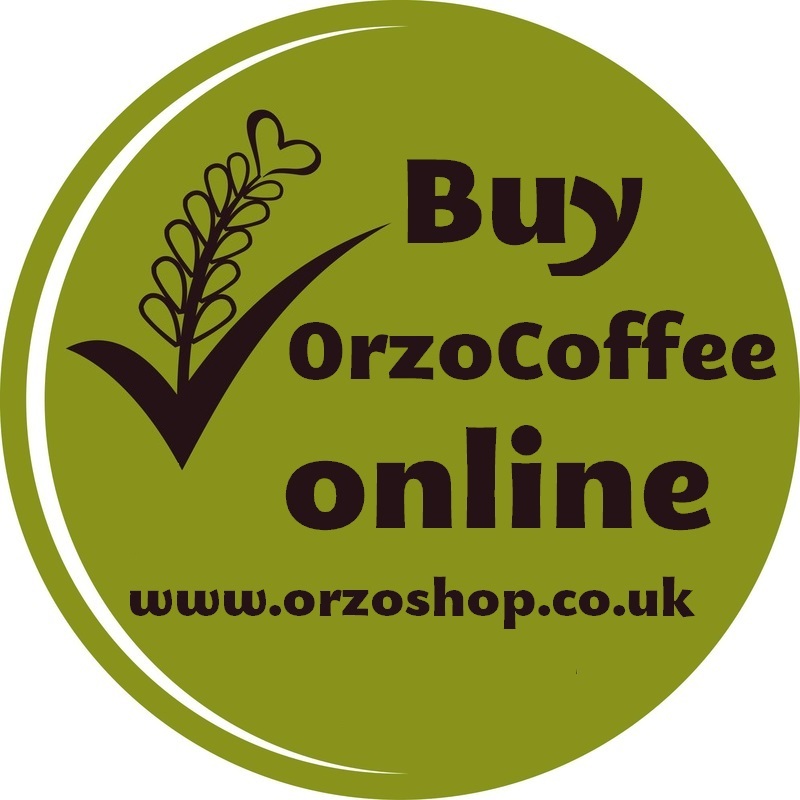 Orzo♥Coffee Pronto can also be used to make cakes, biscuits and other recipes. Share yours at Orzo♥Coffee in the Kitchen. Reseal this packet or use an air-tight container to keep your Orzo♥Coffee Pronto fresh. Keep in a cool and dry place. Our Orzo♥Coffee Pods are compatible with Nespresso®* brand coffee machines for home use. Follow the instructions on your machine to create the perfect Orzo♥Coffee espresso drink. Our Orzo♥Coffee Mio Pods are compatible with Lavazza a Modo Mio ®** brand coffee machines for home use. Follow the instructions on your machine to create the perfect Orzo♥Coffee espresso drink. Orzo♥Pronto, organic instant soluble barley, is easy to prepare and it is sold in individual sachets. Empty the content of the sachets in a mug, add a hot water (300ml) and stir until Orzo♥Pronto has dissolved. Add milk or sugar to taste and your Orzo♥ Pronto is now ready to enjoy! Our Orzo♥Espresso is specifically designed to be used on professional espresso machines in cafes & restaurants. Each organic ground roasted barley pod can be used in professional espresso machines (6cm single shot filter basket) to make one cup (125ml) of delicious barley espresso or cappuccino. For best results: Load the pod into the filter basket. Start expressing but stop before any orzo pours in to the cup, wait 10 seconds, then express fully.